SpaceX is bringing travel to the cosmos. Falcon 9, the first orbital class rocket capable of re-flight, carried NASA’s TESS mission into orbit. Photo courtesy of Flickr. In recent years, there has been a push to make space travel cheaper and easier to access. 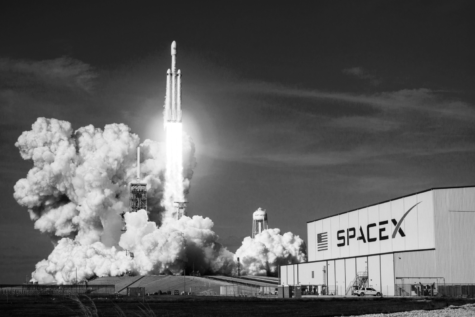 SpaceX is a privately funded company that “designs, manufactures and launches advanced rockets and spacecraft.” They have been up to the task of making these advancements. Just this year, SpaceX launched a Falcon 9 rocket of which the first stage returned intact and ready to be launched again. This sort of technology already has and will make space travel cheaper in the future. SpaceX’s end goal is to make a fully reusable vehicle, like the ones we see in “Star Wars.” SpaceX has taken the first step towards that goal by making the first stage of a rocket reusable.